All sizes come stretched on 0.75" thick wooden stretcher bar except 30"x40" and 40"x30" sizes. 30"x40" and 40"x30" sizes come stretched on 1.5" thick wooden stretcher bar if stated 'Ready to hang' next to the size in the size option. If stated 'ROLLED UP' in the size option, that means the size comes rolled up in a shipping tube and not ready to hang. It comes rolled up in a tube. Not ready to hang. Mirroring borders will be added to the actual picture. You will receive the canvas bigger than actual size which is stated in the size option because of the mirroring. Rolled up canvas will be 34" x 44" or 44" x 34" including mirroring borders (2" for each edge). When you stretched the canvas, we suggest you use up to 1.5" thick (Depth) and 30" x 40" or 40" x 30" (Height x Width) stretcher bars for the best result. Due to differing calibration of every monitor, actual wall art colors may be slightly different from the product image. 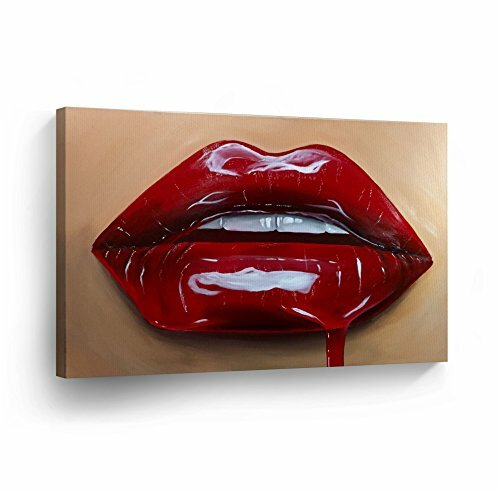 Best decoration idea with our various choice of giclee canvas arts such as picture, artwork, photo, painting, abstract or digital arts printed on high quality canvas from small to large or oversized size options. Find a unique perfect gift in our catalog for Christmas, birthday, Thanksgiving, Easter, Valentine's Day, teacher appreciation, mother's and father's day, graduation, baby shower, anniversary or other special days or celebrations. If you have any questions about this product by Smile Art Design, contact us by completing and submitting the form below. If you are looking for a specif part number, please include it with your message.